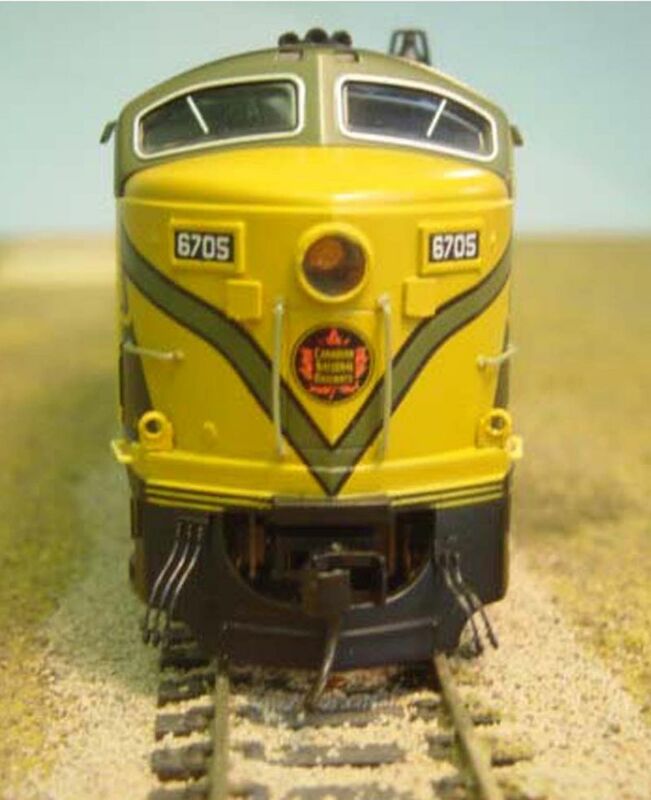 Dear HO Modelers: as few months back Hobbycraft Canada (Trueline Trains) released a limited run of the 5 axle CN C Liners. CN only had 6 road numbers. All copies of the CN (with Green/ Black/ & Yellow paint scheme) Road Numbers sold out almost imediately. The release recently of the Rapido CN Passenger Cars (with Green/ Black/ & Yellow paint scheme) have complimented the C Liners. 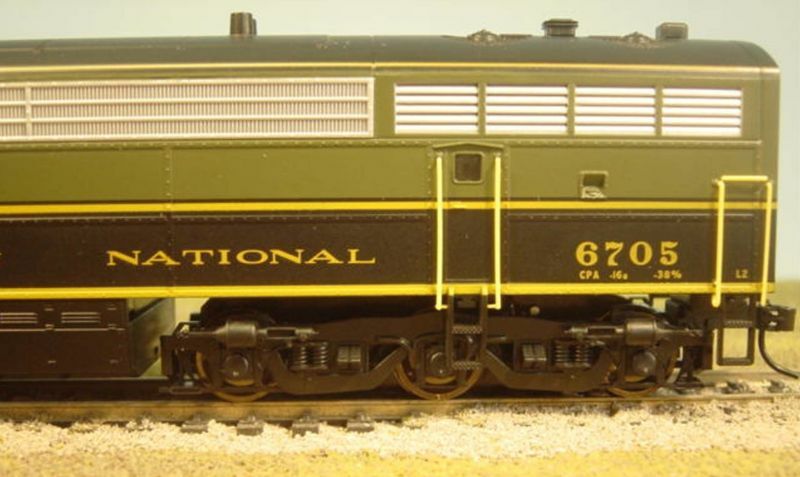 So since we have had so many requests for additional copies of the Green/ Black/ & Yellow (with Sound) CN 5 Axle C Liners, Hobbycraft has decided to re-release the Engines. They have new part numbers, but the road numbers are the same. 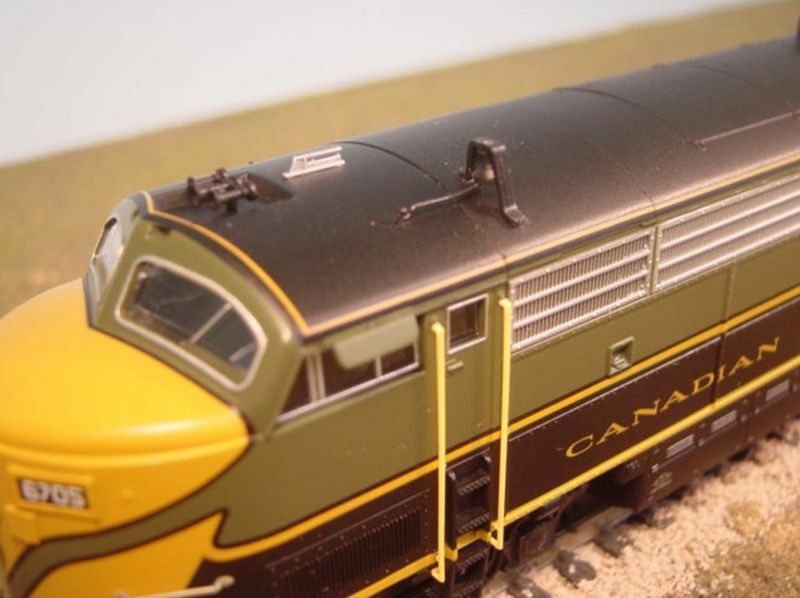 We urge any of our customers who model early CN Diesel, to call and order. Only Canadian National purchased 6 of the CPA-16-5 A units and 6 of the 5 axle C-Liner CPA-16-5 B units. These unita were built in 1954-55 and the last unit was retired in 1969.